Was it a grocery bagger, waitress, bus boy, babysitter? For Shaveta it happened this year - her very first paying job is at Walgreens. Do you remember how important and special you felt having that first job - the sense of purpose that it brought to your life? This is the sense of purpose that AtWork! is bringing to people with disabilities every day, because of the support of our community. In this giving season, consider giving that sense of purpose to someone who truly longs for it. Please consider making a gift to AtWork!. Shaveta thanks you for it! 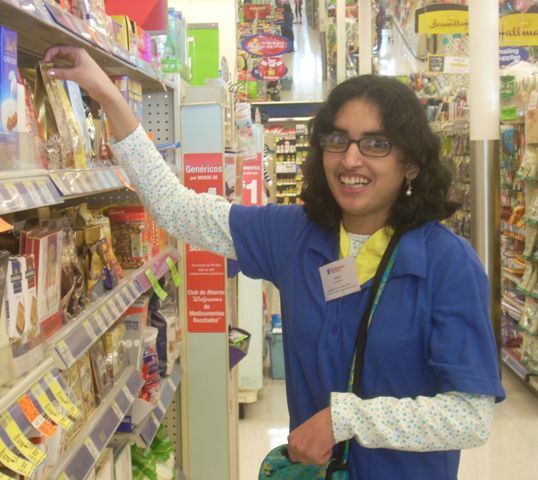 Stop by Walgreens and see Shaveta in action for yourself. You'll recognize her by the smile on her face. Happy Holidays from AtWork! To donate, please click here or visit our website at www.atworkwa.org.